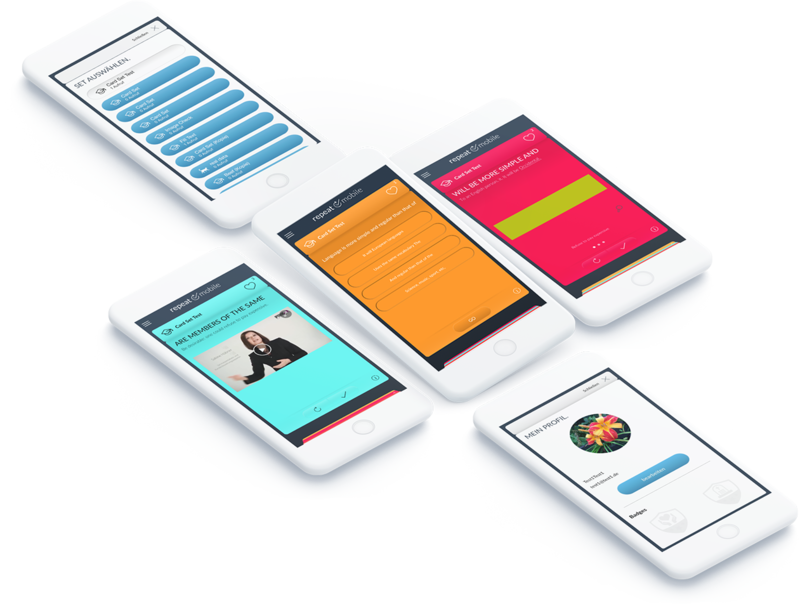 Repeatmobile is a highly customized enterprise learning app. It is downloadable from company servers, and offers in-depth videos, reading material, quizzes and tests (MCQ). Many courses are included in this multi-platform, multi-device application. A company organizes a highly informative seminar for its employees. Everyone attends it, gets acquainted to a lot of new knowledge....and after about a fortnight or so, forgets most of it. Bit of a waste, right? The human brain is not, and will never be, like a robot - taking in and retaining huge volumes of new information/knowledge at one go. Repeated reinforcements are required to ensure effective learning. Put in another way, availability of ‘revision courses’ make sure that the investments on seminars and onsite training sessions do not go to waste - and people are actually able to grasp and retain the knowledge. Repeatmobile is the perfect mobile learning assistant app for this purpose. Repeatmobile is a highly customized enterprise application, focused in particular on users from the coaching and professional training industries. It allows trainers to add value to seminars and peer-to-peer training sessions, and significantly increase the knowledge retention levels. A training app that allows people to increase their memory scores...with ease. An app like Repeatmobile can be required by practically any employee or in-house company staff. Keeping that in mind, I wanted to make sure that it should be readily available from the individual enterprise servers. Hussain and his team of developers brought their expertise into the equation...and they did their job real well. After the client had okayed the free app quote we had sent along, the agreements were quickly drawn up and the formalities completed. 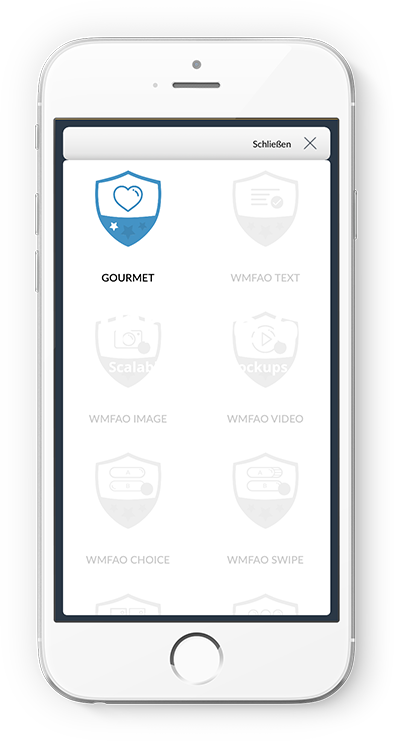 We were practically itching to start working on an app that...let’s face it...could be usable in our company as well. Note: Repeatmobile app is also available on the iOS, Android and Windows app stores. Multi-device compatibility (phone, tablet, PC) is also a big advantage. There are plenty of informative, easy-to-understand texts and reading material in this unique enterprise learning app. In addition, there are tutorial/knowledge videos and multiple-choice questions and answers. The answers are available in image format. All the MCQs in the app are generated from the backend. The questions are in card view, while the answers are in the form of sliding images. The sequence of correct answers is tweaked at each iteration - so that users are not able to simply guess (without actually having the requisite information) the right answer. Training facilities are provided in the app before, during and, of course, after seminars/training sessions. 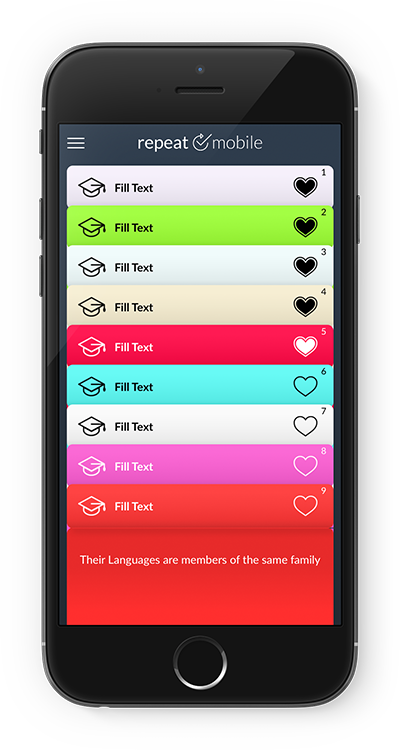 It is a learning app...but not quite in the traditional, rather boring sense. The different courses are represented in the form of separate card sets. Each course has a card set, and each card set has 20-30...at times more...cards. Customized and detailed learning is what Repeatmobile offers. We had multiple rounds of discussion with the app-owner, to find out how we could make Repeatmobile more holistic. The different training courses in the application - on different topics and for different categories of employees, were very carefully curated. Each card in a card set has either a MCQ, or a video, or a text-based learning material. The additional feature of forming and collaborating in seminar groups was also included. If a new app has an air of familiarity for the targeted users, its chances of becoming popular gets a boost. Repeatmobile emulates the design of the iOS wallet app - which works in its favour. The features and benefits on offer are also strong enough to drive download figures northwards. How can one make sure that a learning application is actually delivering the goods (read: actually helping users learn stuff?). The client agreed with us on the importance of integrating a good learning analytics system in the app. Companies in general, and interested stakeholders in particular, are able to track the learning progress of employees in a hassle-free manner. Reports with in-depth, granular-level details can be generated, there are learning curves (for visual understanding), and real-time documentation of learning progress is possible. Everything that a digital learning assistant should have...and then some more! Traditional learning courses online are like, once or twice a week. The Repeatmobile app brings a more user-friendly alternative...with bite-sized mobile learning opportunities, whenever a user wants to gather some knowledge. Put in another way, the app puts greater learning autonomy in the hands of employees. Taking time out for self-training and development is often tricky for corporate employees. More often than not, the scheduled training times decided by companies do not coincide with the times viewed by the staff to be the best for learning. Repeatmobile looks to bridge such ‘time gaps’, and allows people to pursue learning courses at their own convenience. Maintenance of uniformly high quality standards has been a key factor in the long-standing success story of Teks. In a high-end professional learning app like Repeatmobile, the need for monitoring and managing didactic quality was that much greater than that in your average, small application. The objectives of each learning module are framed and managed with due care. After some consultation with the app-owner, our team of developers also integrated an efficient messaging platform (something like WhatsApp) in Repeatmobile. This messenger feature is, understandably, privy to each company - and can go a long way in facilitating real-time communications between trainers and users. There is a touch of gaming fun associated with Repeatmobile as well. There are trophies on offer as a reward for completing card sets, and for other achievements...like marking 5 favourites. Learning is, in itself, an achievement - but these little rewards help to keep employees on the right track. Maintaining high-engagement levels is something we viewed as a challenge from the very outset...a challenge that we had to overcome, to ensure Repeatmobile’s success. Interactive tests and fun quizzes have been provided in the courses, to keep up the interest levels of users. 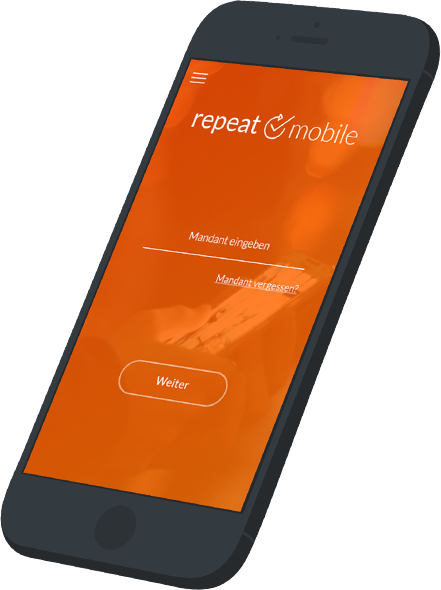 Note: The iOS version of Repeatmobile is compatible with iOS 8 and later versions of the platform. The Android version, on the other hand, can be downloaded on Android v.4.0 and later. As already highlighted, Repeatmobile is an enterprise app. As such, the in-app content needs to vary, depending on the company or organization that is using it at any time. Doing so is relatively easy though. From the backend, the server has to be changed - and new content will be generated immediately. 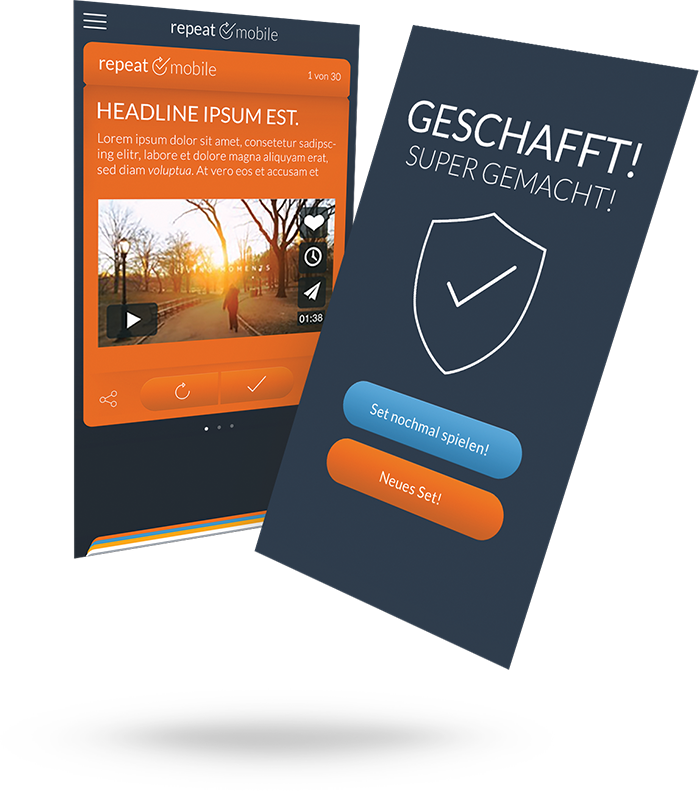 Repeatmobile has already been used for training reinforcement purposes by more than 15 different portals. As we keep adding more features, the popularity of the app should soar even higher. Recently, the Repeatmobile app was used by a leading school institution. Mark Zuckerberg, the Facebook CEO, had come for the inauguration of the school. Visit Web Portal to know more about the Repeatmobile digital learning assistant. It is easy to download and easy to distribute...and it extends the value of seminars, opening up possibilities of professional-level learning anytime, anywhere!